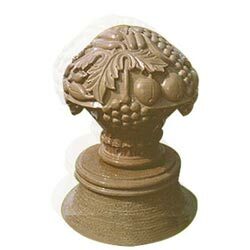 Fruit planters are garden and patio decoratives with fruit themes carved on them. Available with us is a range of fruit planters in different shades of marble and sand stone. Kept by the side in the sitting area of the garden they are beautiful art objects. Dimension : 18.5" x 18.5" x 9"
Marble Fruit Planters is available in Red, Beige, Pink, Brown, Mint, White, Grey, etc colors of sandstone and white, pink, green, black, etc colors of marble. 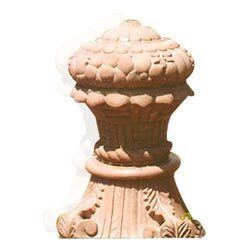 Dimension : 23" x 15" x 9"
Sandstone Fruit Planters is available in Red, Beige, Pink, Brown, Mint, White, Grey, etc colors of sandstone and white, pink, green, black, etc colors of marble. 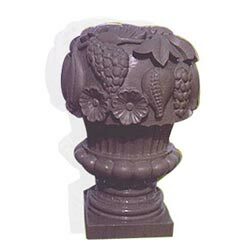 Dimension : 12" x 12" x 7"
Decorative Fruit Planters is available in Red, Beige, Pink, Brown, Mint, White, Grey, etc colors of sandstone and white, pink, green, black, etc colors of marble.